Passenger numbers to hit 8.2bn by 2037 - IATA report | Airlines. Aviation's growth could support 100 million jobs globally if current trends continue. The amount of air travelers could double to 8.2 billion in 2037, according to analysis from the International Air Transport Association (IATA). In the latest update to IATA’s 20-Year Air Passenger Forecast, an increasing shift Eastwards in the center of gravity of the industry is behind the continued strong growth. "Aviation is growing, and that is generating huge benefits for the world. A doubling of air passengers in the next 20 years could support 100 million jobs globally," said Alexandre de Juniac, IATA’s Director General and CEO. Over the next two decades, the forecast anticipates a 3.5% compound annual growth rate (CAGR), leading to a doubling in passenger numbers from present levels. The Association warned, however, that growth prospects for air transport, and the economic benefits driven by aviation, could be curtailed if protectionist measures are implemented by governments. "There are two important things that stand out about this year’s forecast. Firstly, we are seeing a geographical reshuffling of world air traffic to the East," de Juniac said. "And secondly, we foresee a significant negative impact on the growth and benefits of aviation if tough and restrictive protectionist measures are implemented." Routes to, from and within Asia-Pacific will see an extra 2.35 billion annual passengers by 2037, for a total market size of 3.9 billion passengers. Its CAGR of 4.8% is the highest, followed by Africa and the Middle East. The North American region will grow by a CAGR of 2.4% annually and in 2037 will carry a total of 1.4 billion passengers, an additional 527 million passengers. Europe will grow at a CAGR of 2.0%, and will see an additional 611 million passengers. The total market will be 1.9 billion passengers. Latin American markets will grow by a CAGR of 3.6%, serving a total of 731 million passengers, an additional 371 million passengers annually compared to today. The Middle East will grow strongly with a CAGR of 4.4% and will see an extra 290 million passengers on routes to, from and within the region by 2037. The total market size will be 501 million passengers. Africa will grow by a CAGR of 4.6%. By 2037 it will see an extra 199 million passengers for a total market of 334 million passengers. 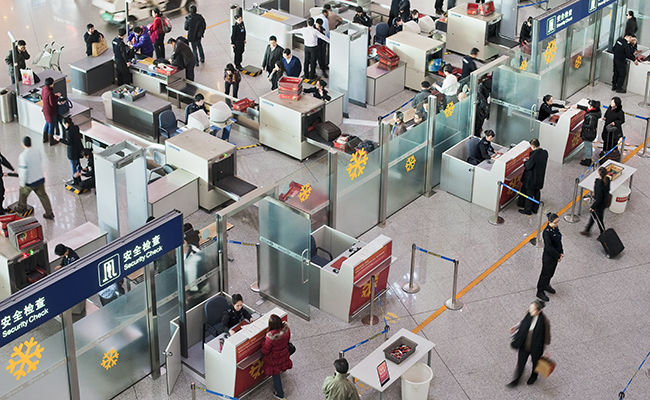 With a strong demand for self-service process among international passengers in China, the International Air Transport Association (IATA) has successfully piloted a paperless Fast Travel process. Customer experience has changed due to disruption caused by digital players such as Google and Uber. The latest Global Passenger Survey results show passengers want quicker and less intrusive security processes, as well as a more automated check-in service.